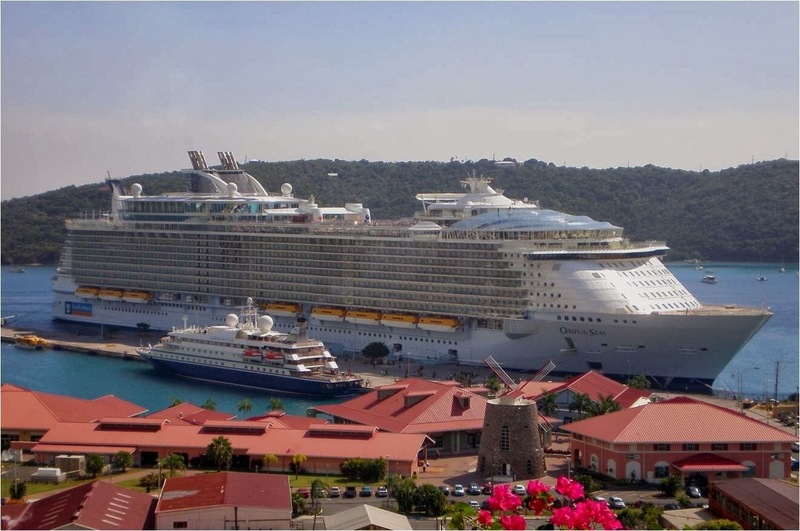 21.3 MILLION people took an ocean cruise somewhere in the world in 2013 on ships ranging from the biggest (like Oasis of the Seas) to the smallest (SeaDream Yacht Club's SeaDream I) shown here together in St Thomas in the Caribbean. IN his continuing search for the more weird, wacky and wondrous in the world of travel, David Ellis says an amazing 760,000 people cruised into and out of Australian ports in 2013, putting us at Number 5 in the world's Top 10 cruise market areas. The country to enjoy the biggest number of cruise-goers through its ports was the USA with a huge 11-million-plus in 2013, followed by the UK/Ireland with 1,719,000, Germany 1,637,000 and Italy 860,000. And amazingly the 760,000 who sailed through our ports in 2013 also helped put us at Number 2 in the world's Top Five cruise growth markets since 2008: Scandinavia/Finland enjoyed the biggest market share increase over those five years with a growth rate of 184.6%, Australia just over a 130% increase, and Brazil was third with an 84.8% increase in market share since 2008. 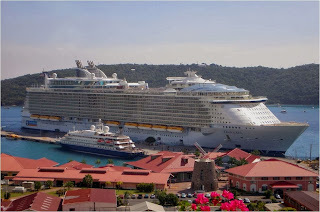 All up, according to industry body the Cruise Lines International Association, a total 21.3 million people took a cruise somewhere in the world in 2013, with this expected to increase to 21.7 million this year.